What is a barebones system? A barebones PC is a computer that has minimal components. A typical barebones system includes a case, motherboard, CPU and power supply. The end user would need to add a hard drive, RAM and Operating System. OVERVIEWGet ready for truly immersive entertainment. The Intel NUC Kit NUC7i3BNH is built with a dua..
OVERVIEWGet ready for truly immersive entertainment. The Intel NUC Kit NUC7i5BNH is built with a dua..
OVERVIEW:Get ready for truly immersive entertainment. 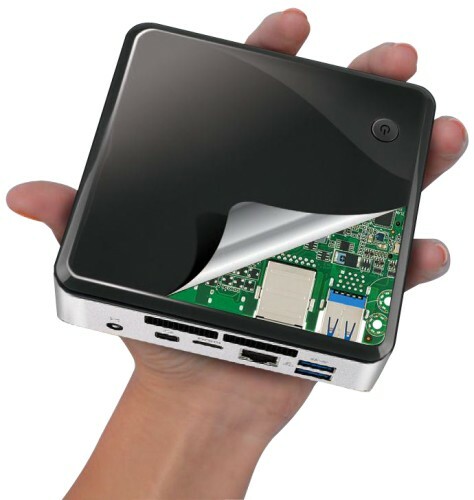 The Intel NUC Kit NUC7i7BNH is built with a du..
OVERVIEW Intel has changed the game in the Mini PC category. With a wicked new look a..